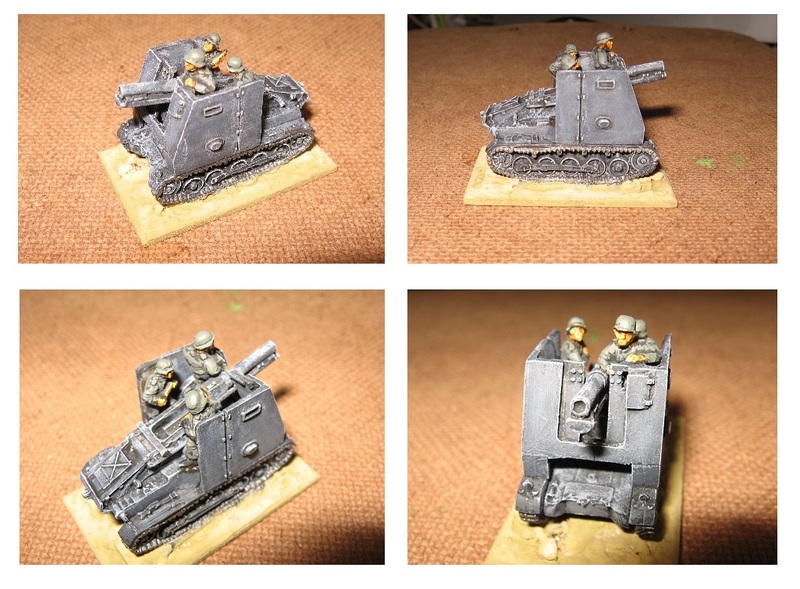 I had a quick trip round the traders at Derby (WIC) last weekend, but couldn’t find what I wanted (nobody does any proper WWII limbers, none of the new Battlefront stuff is coming in individual blisters … even though the BF Protz is the wrong vehicle, the traders don’t stock them anyway as they are more expensive than the resin block alternatives … blah, blah ..).. the usual monodynamic complaints. The market wants what Flames of War tells it it wants – so provided you will take that, and in the pack formula they define, you have a choice of people (all selling the same stuff). 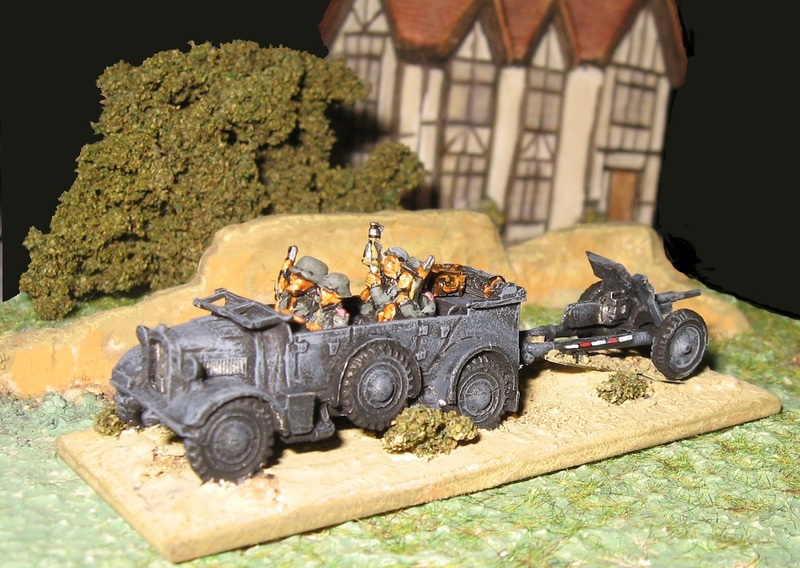 The KFZ16 Field Car was to be a ‘jeep’ tow for a 37mm AT that assembled itself out of my bits box (a spare BF gun and some PP wheels). 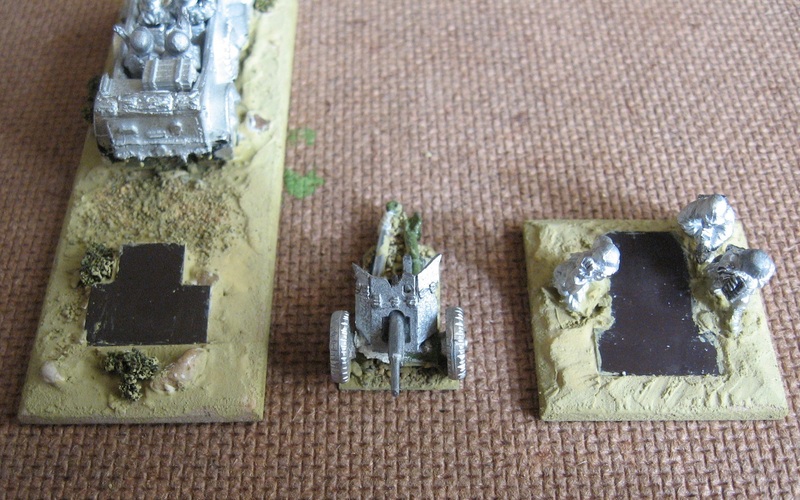 The gun sits on a metal mini base, and there is a matching magnabase patch on the tow base and the (PP) crew base. This is just an updated ‘tow+crew bases with loose gun‘ approach (just I don’t like loose guns because they get damaged or lost too easily) … but which works very well for, say, PBI, where the gun has to pay APs to deploy (so being modelled deployed and/or limbered is a bonus in the depicting the gun’s status in the game). For operational games, of course, it will mostly just trail around behind its tow (but as such looks much more the part than would a deployed gun sitting behind its limber). 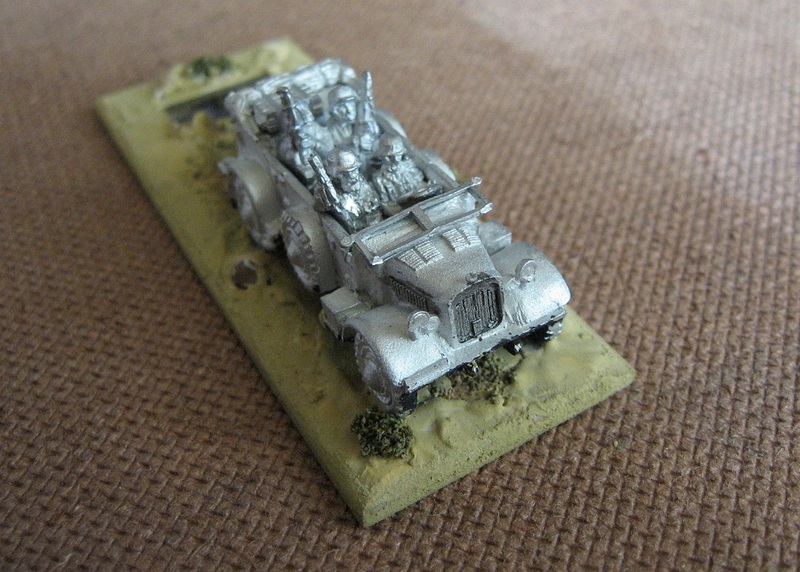 Like the SIG33, the field car comes empty … so I have added some crew (mixed Skytrex, BF and PP bits as my spare stuff generally is). To complete the depiction, I will sometimes provide the crew on a detachable insert, but this seems fine as is. Again, this model was given my usual base colour plus drybrush over a Humbrol undercoat. Indeed, the pressure in the Crimea has been such, recently, that these vehicles were pressed straight into service on Friday night! 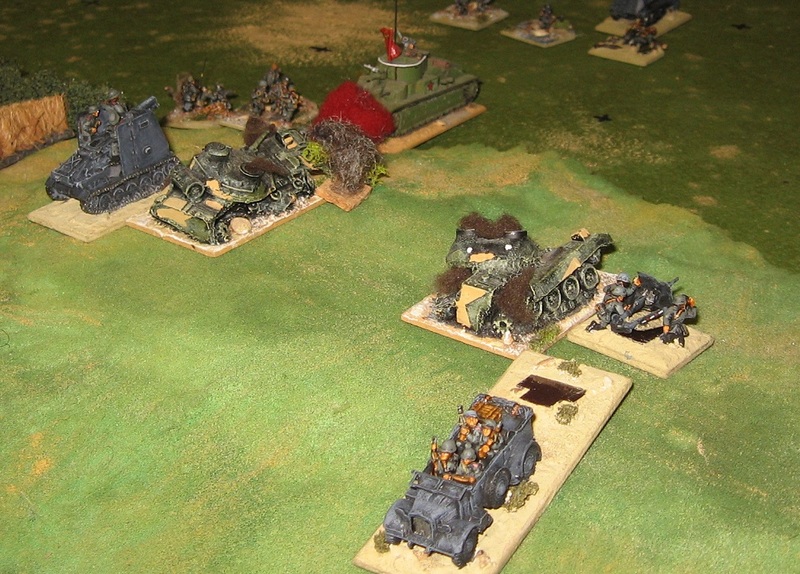 The Panzer-Anklopf-Gerat hiding amongst a line of smoking wrecks on a much contested ridge line (in the background, the SIG33 pluckily pushes forward past a burning T28 mail train …).